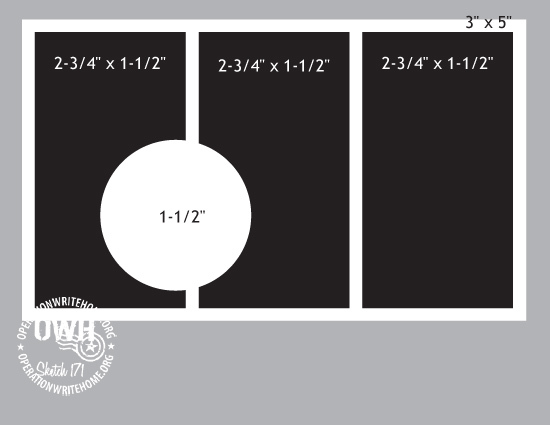 Tip: I punched out a scallop circle before I adhered designer paper panels on to the layer. 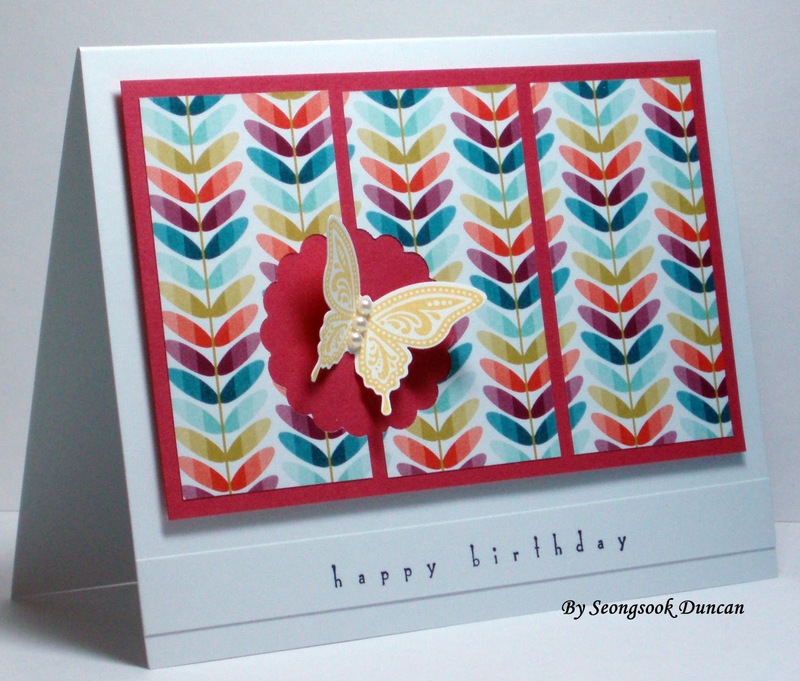 Hi Seongsook, your card is just awesome! 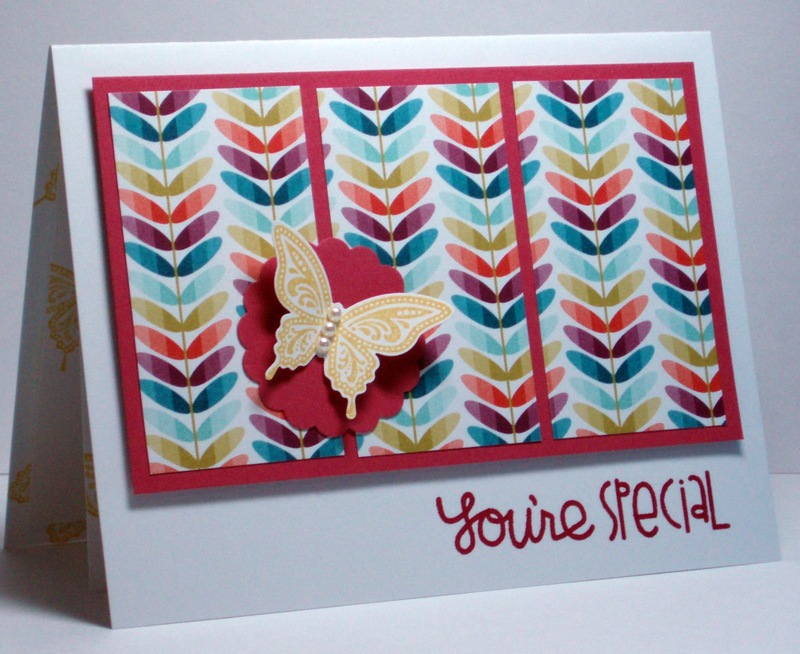 I love the bright colors in the patterned paper you chose. The red background really enhances the design. 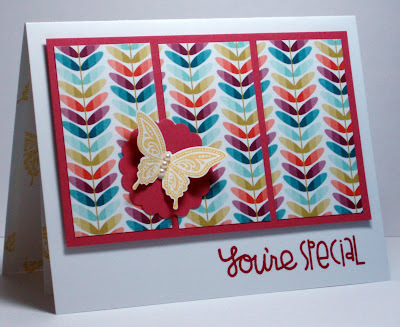 Love your creative use of negative space from the scalloped circle. It really lets the butterfly pop! Thanks so much for playing this week! Your cards are great. I love the sketch.